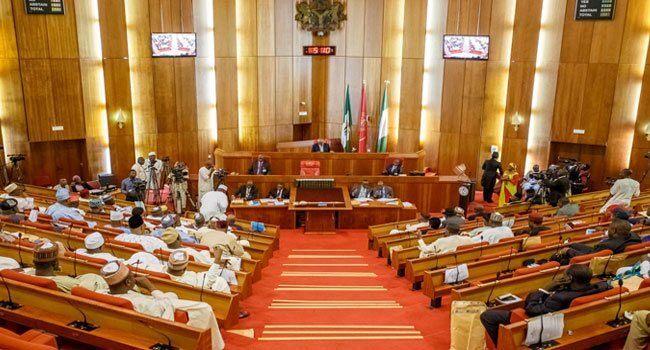 Senate appeals Omo-Agege suspension nullification – Royal Times of Nigeria. The Senate has appealed the nullification of the suspension of Senator Ovie Omo-Agege by the Federal High Court in Abuja on Thursday. The Senate and the Senate President Dr Bukola Saraki who is the second defendant in the case also filed for a stay of execution of the nullification of the suspension. According to the upper legislative chamber, the Senate and the Senate President have promptly filed a Notice of Appeal and a Motion for Stay of Execution of the same Judgement on the 10th of May 2018.